There was plenty of great news last week's Bark Out Loud with four senior dogs going to their forever homes. Now Maple gets to go home. 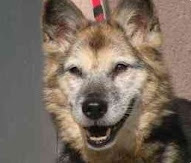 Maple was one of San Diego Animal Services longest held residence. 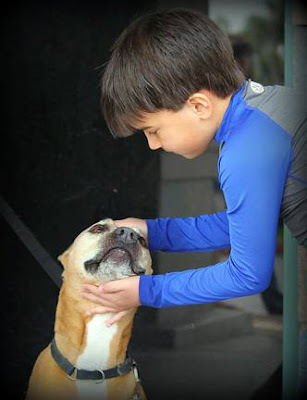 After over a year, an agreement was made with the Prairie Pit Bull Rescue to send Maple to Calgary, Alberta, Canada. In true, Maple spirit, she went along happily where some lucky family adopted her. The picture above was taken and really shows the Maple that many San Diego rescue volunteers know and love. Check out more of Maple's story from the folks that help to get her that new home.